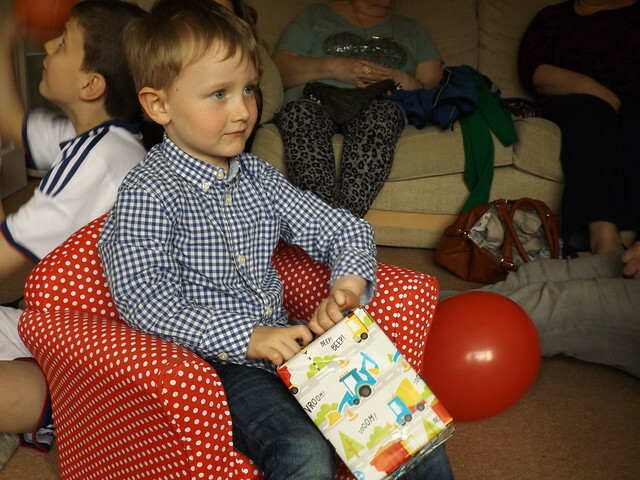 Bee's Circus: Daniel's Fourth Birthday // Cars Party. 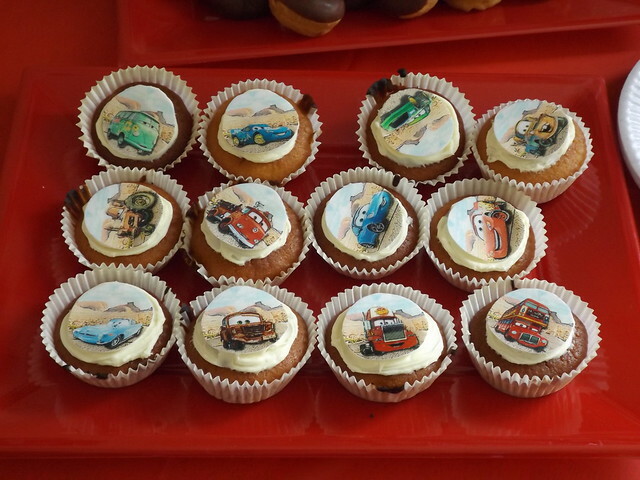 For his fourth birthday, Daniel specifically asked for "a racing car party, with a tow truck" so Cars it was. 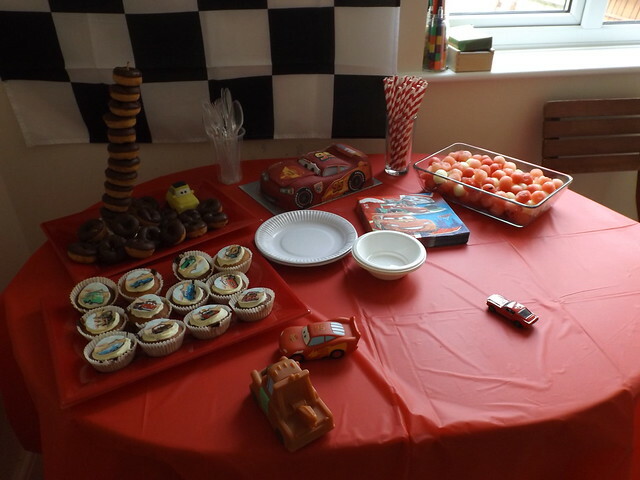 I actually love the ease of having a popular character theme party, I bought a whole bunch of stuff from Tesco's party website emblazoned with Lightning McQueen and he absolutely loved it. 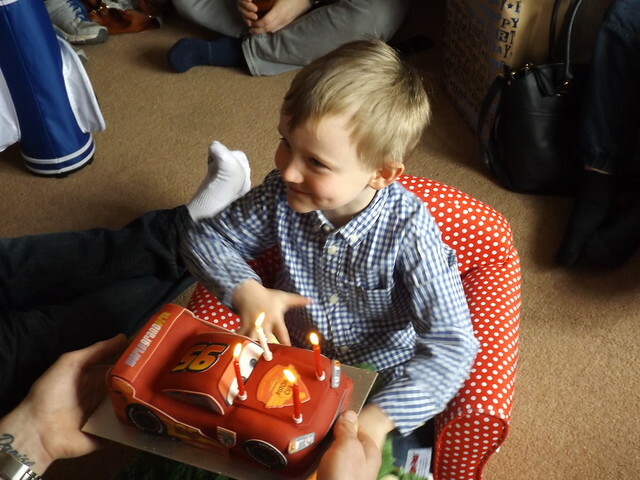 I kept the food relatively simple with a super cool McQueen cake (thanks Asda! 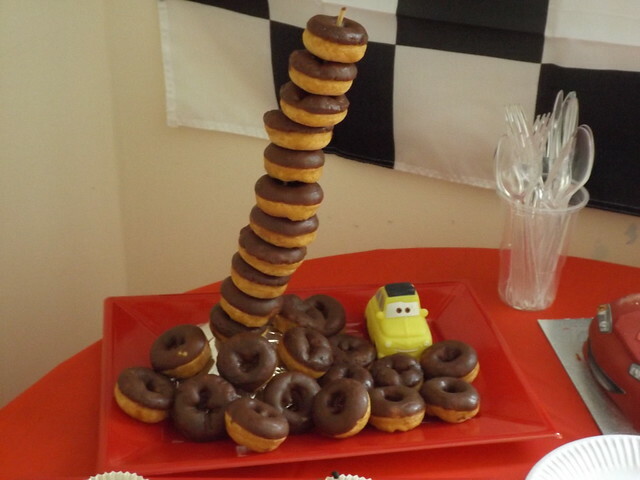 ), cupcakes, Luigi's teaming tower of tyres made from mini chocolate doughnuts and traffic light melon balls. 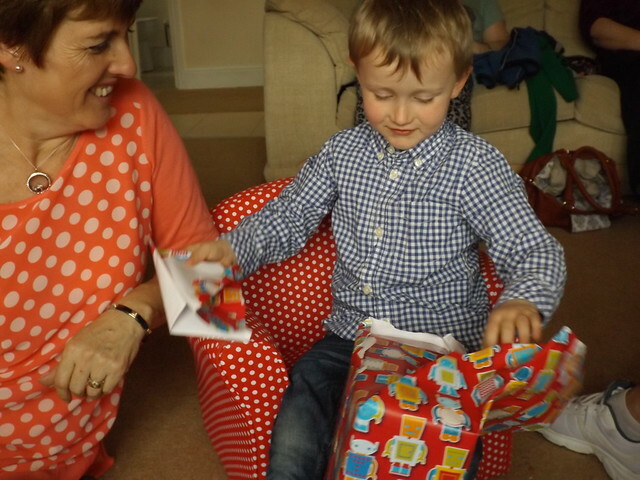 I bought a Cars book for the pass the parcel prize and medals for the winners of the games, which the kids loved. 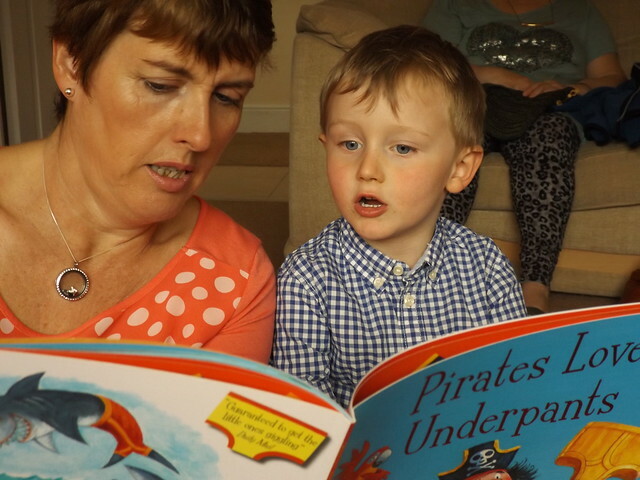 We had two parties in one day, Daniel's friend's in the morning for a kiddo party (games, music etc) and then family in the afternoon. 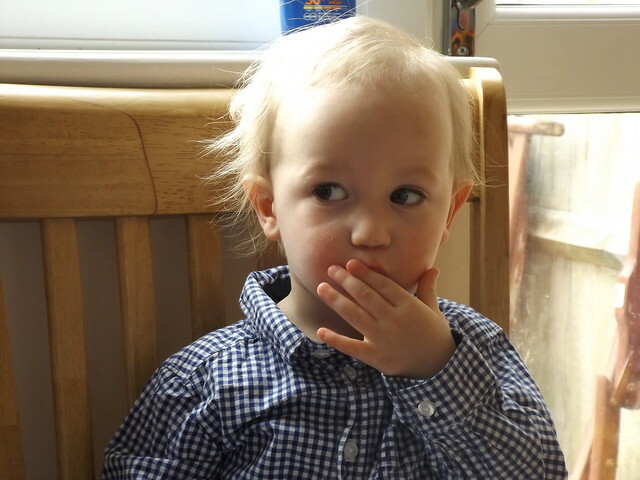 Our friends stayed later and we did a BBQ for them too. 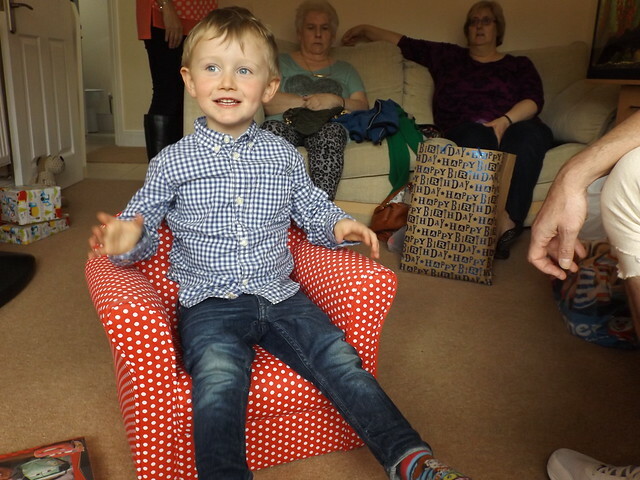 It's just easier than trying to have everyone round together, and gives Daniel a chance to play with his friends, then see family, though maybe when he's older we'll incorporate the two. 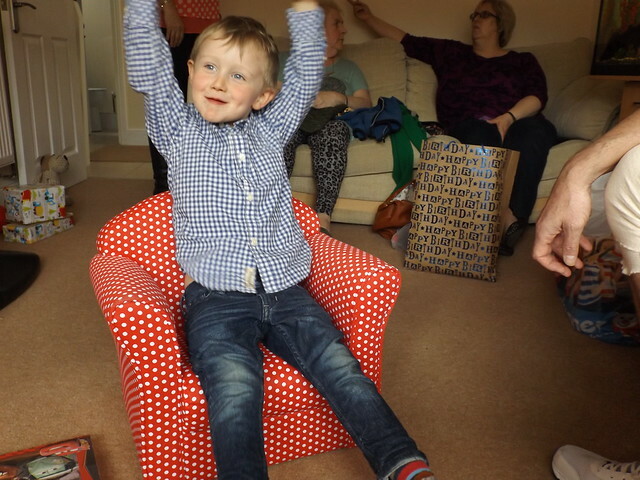 He was absolutely spoilt, my parents got him that sweet armchair (the only present he actually asked for!) 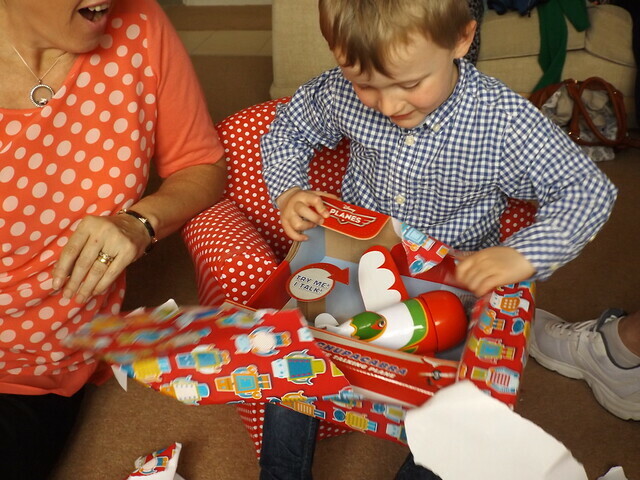 Colin's parents got him a set of little golf clubs, and he was inundated with puzzles, books and toys! 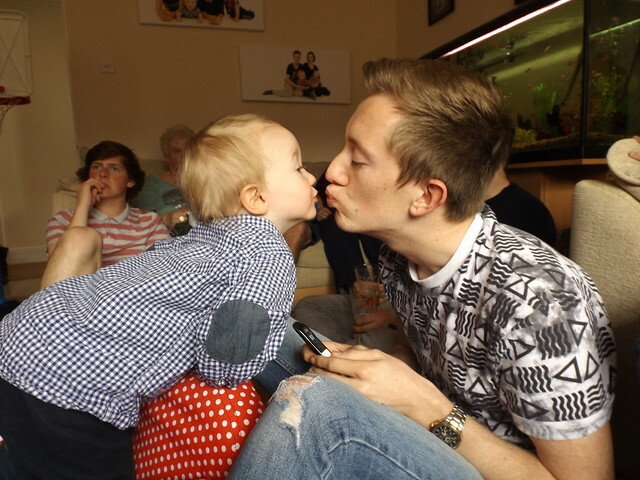 A massive thank you to everyone who came and helped us celebrate, and who sent birthday messages, it really does mean the world to us all!